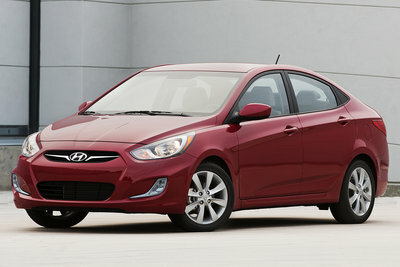 Hyundai updated the Accent for 2012. The sedan is significantly larger outside, adding almost 3 inches to its wheelbase and some 3.5 inches to overall length. The new model gives up a little bit of passenger volume, but adds over a cubic foot of cargo volume. The new direct injected 1.6l four cylinder is rated at 138-bhp which is an increase of 28-bhp over the prior model. The new engine is combined with new six-speed manual and six-speed automatic transmissions, yielding fuel economy ratings of 28 city / 37 highway. 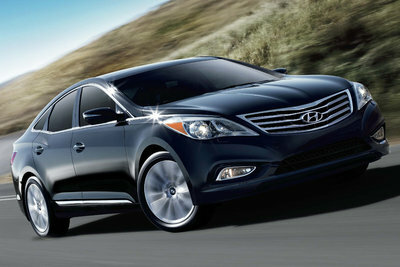 The Hyundai Azera enters its second generation with more style and slightly larger proportions. Compared to the prior model, the Azera is 1 inch longer and wider, but rides on a 3 inch longer wheelbase for more interior space. A new standard 3.3l V6 engine produces 293-bhp and promises improved fuel economy. 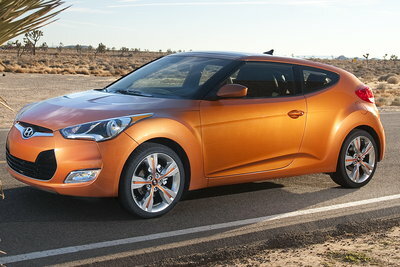 The Hyundai Veloster is a new compact coupe with a square rear hatch. The Veloster features a unique entry system with a full-sized door on the driver's side, and two forward hinged doors on the passenger side. A 1.6l four-cylinder rated at 138-bhp is the standard engine. The Veloster is available with either a six-speed manual or a six-speed dual clutch automated manual transmission. The Veloster is front-wheel-drive. The Genesis receives updated styling, an eight speed automatic, and a new performance model. All Genesis models wear new front fascia/grille and rear fascia/exhaust tips. A new eight speed automatic transmission becomes standard on all models. 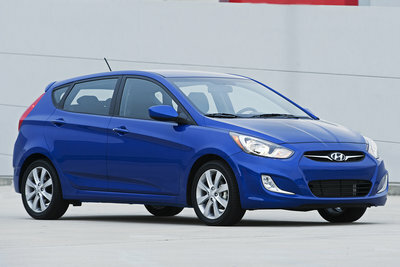 Hyundai added direct injection to the 3.8l V6 improving output and fuel economy. A new 5.0 R-Spec model joins the lineup. Under the hood, a new 5.0l V8 with direct injection produces 429-bhp and 376 lb-ft of torque. The performance model also features a unique calibrations to the transmission, suspension and steering. Minor package differences. Active Eco system is standard on all automatic transmission models. The Equus upgrades to a new 5.0l V8 engine and eight speed automatic transmission. Slight increase in fuel economy.